Elkhart County and its cities and towns are getting more done, working together on projects and reaping the benefits of an emphasis on investing in quality of place and placemaking. 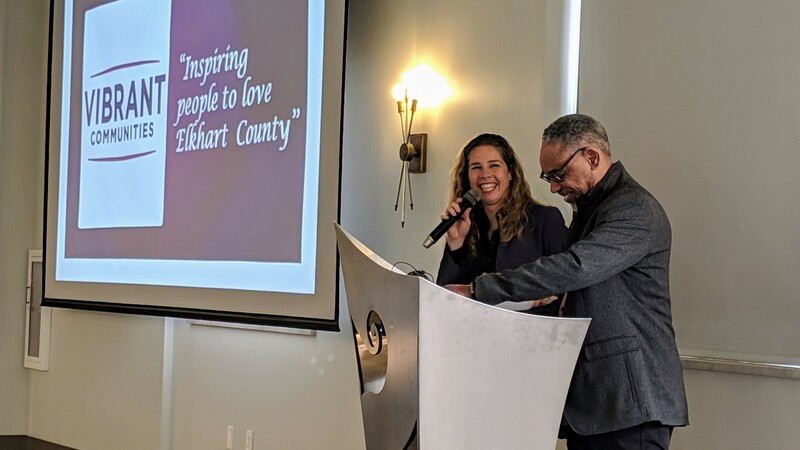 The Vibrant Communities movement gathered the community to celebrate these achievements of Elkhart County residents at an event on Thursday, March 21, 2019, in Elkhart. Three years after unveiling an ambitious and grassroots-driven 77-item Action Agenda, Vibrant Communities organizers released its Report to the Community. The centerpiece of the report is a comprehensive audit of the Action Agenda showing that 52 of the 77 items are either in progress or complete. The Action Agenda items were developed in 2016 based on community input at a series of public meetings attended by more than 1,000. “We are excited about how much Elkhart County residents have accomplished in three years, and we think even better things are to come as we continue to invest in quality of place and placemaking,” said Suzie Weirick, co-chair of the Vibrant Communities movement. 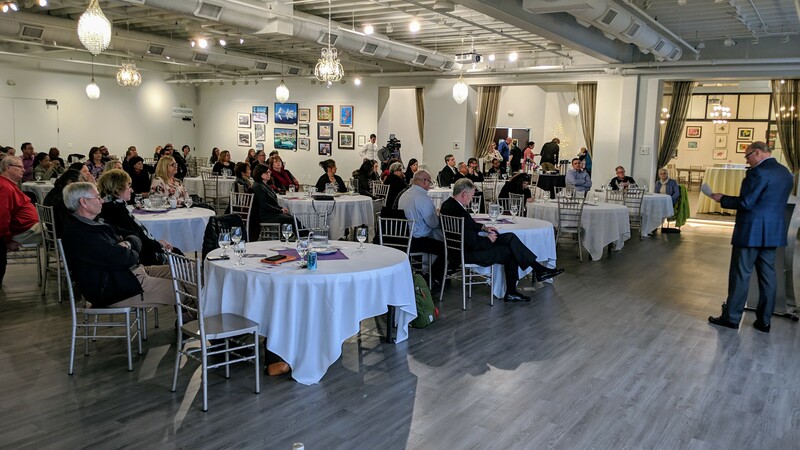 Engaged residents and leaders from across Elkhart County gathered at LEX 530 event center in Elkhart to see the report and to celebrate the successes of each city and town as well as programs such as the Little BIG Idea Grants and 365 Vibrant People of Elkhart County. Residents of Elkhart County enjoy the presentation of the Report to the Community. From high-visibility public-private projects such as the Elkhart aquatics center, Goshen Theater, Wa-Nee Vision 2020 and Middlebury improvements to the town center and parks, to initiatives that seek to improve community gateways and to boost educational resources, the audit gives a full assessment of what has been achieved and, just as importantly, suggestions for what needs to happen on projects that haven’t been started. The 73-page report includes summaries from each of Elkhart County’s cities and towns — Elkhart, Goshen, Nappanee, Bristol, Middlebury and Wakarusa, and reports on some of the largest projects being undertaken. The report also looks forward, laying out several future goals which include developing a placemaking academy to provide technical assistance and education for individuals and groups who are interested in converting their ideas to reality. Vibrant Communities also intends to champion and support local efforts to engage younger members of the community, to continue advocacy of quality-of-place principles, and to build a countywide framework for promoting the region. “We are just as inspired today as we were in 2016. We’re in a great position to build on these successes and to inspire more Elkhart County residents to jump in and build on our movement,” said Weirick. Vibrant Communities co-chairs Suzie Weirick and Arvis Dawson share a laugh during the presentation of the Report to the Community on Thursday, March 21, 2019. Since 2016, leaders in every community have helped in the launch of various initiatives such as the Elkhart County Food Council, the Waterways Alliance and arts councils in Elkhart, Goshen, Nappanee and Middlebury. 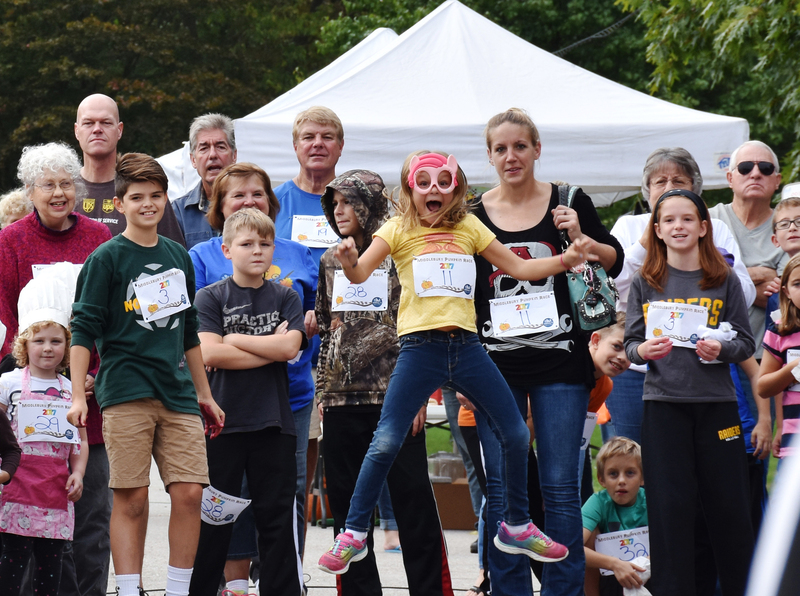 The Elkhart County Convention & Visitors Bureau and Community Foundation of Elkhart County, co-sponsors of Vibrant Communities, also provided funding to the Little BIG Idea Grant program that offered micro-grants for fun, quirky, community-based projects. The 365 Vibrant People of Elkhart County celebrates the energetic doers who make our community great. Vibrant Communities was initiated and sponsored by the Elkhart County Convention & Visitors Bureau and Community Foundation of Elkhart County in 2016. This movement’s focus is on the connection between Elkhart County’s economic vitality and quality of place. 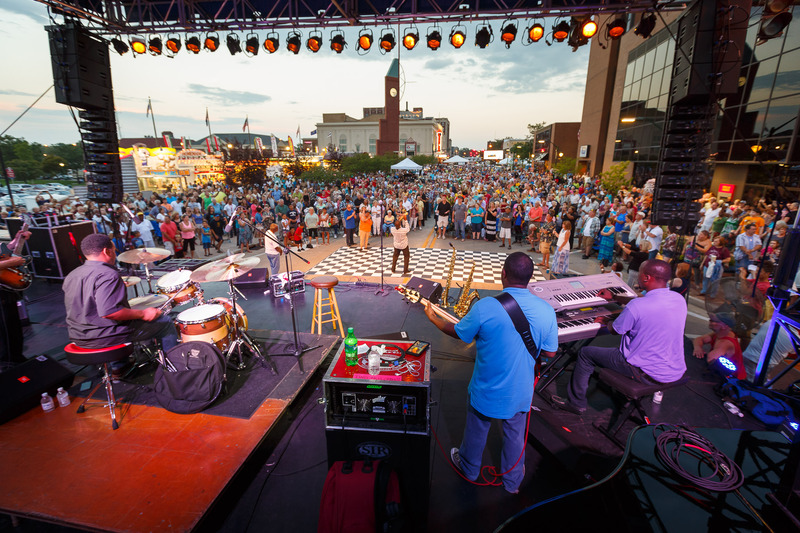 It champions projects and programs that support quality of place and placemaking. Its mission is to inspire people to love Elkhart County. For more information, go to www.vibrantelkhartcounty.org. Historically, churches have nurtured connections between people and place, particularly through calling us to love and serve neighbors. Churches have also played a central role in providing community gathering spaces. What if churches in Elkhart County were strategically engaging in placemaking practices to shape their public spaces to promote community interaction in our neighborhoods and cities? I read your 2019 report and applaud all of the progress. As a citizen of Elkhart, active churchman and faith leader for 47 years, I kept asking myself how might placemaking take shape in the church context? I also am interested in more information about the placemaking academy. Hello, and thank you for your response. You raise some very interesting points and, in many ways, there are churches in Elkhart County are already involved in placemaking, whether it’s community groups using church meeting space for meetings, community meals or continuing education classes. We would be very excited by churches being more involved in the Vibrant Communities movement. As the plans for our placemaking academy become more concrete, we will certainly share that here. Ways in which church groups could become involved is through our Little BIG Idea Grant program or by recognizing outstanding volunteers/neighbors in our Vibrant People of Elkhart County program. We urge you to sign up for our monthly newsletter and to have these conversations about placemaking with your church leadership. Please contact Terry Mark at 574-262-8161 if you have any more questions about Vibrant Communities.